In the season 2016/17 Martina Dike made her widely noticed debuts as ORTRUD in “Lohengrin” at the Athens National Opera and as VENUS in “Tannhäuser” at the Riga National Opera. As BRANGÄNE she recently returned to the Aalto Theatre in Essen in a Barry Kosky production of “Tristan und Isolde”. 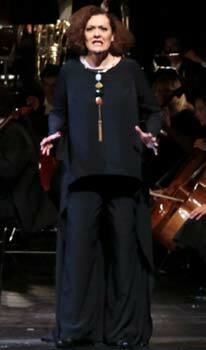 She also sang this very part at the Malmö Opera under the musical direction of Maestro Leif Segerstam in concert performances of “Tristan und Isolde”. Before, she also was BRANGÄNE at the Flemish National Opera Antwerp under the musical direction of Dmitri Jurowski, the Opera in Nantes, the Opera in Dijon, the Francfort Opera and the Opera House in Montreal under Kent Nagano. Moreover, international guest engagements brought her to as FLOWER MAIDEN and the VOICE FROM ABOVE in “Parsifal” to the Theatre de la Monnaie in Brussels under Antonio Pappano. She sang PROSERPINA in Monteverdi’s “L´Orfeo” with René Jacobs (available on DVD), TISBE in “La Cenerentola”,and FRICKA in “Die Walküre” at the Latvian National Opera House Riga and in »Rheingold« und »Walküre« at the German Opera on the Rhine Duisburg/Düsseldorf. She also sang the COUNTESS GESCHWITZ at the Frankfurt Opera House and performed in concerts at the London Barbican Hall, in Aix-en-Provence and in Milano. 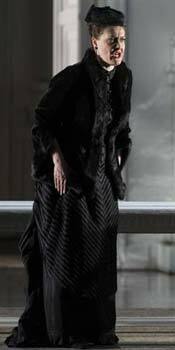 From 2006 to 2010 she could be seen as WALTRAUTE and as FRICKA and as the SECOND NORN in the ‘Ring’ at the Bayreuth Festival under the musical direction of Christian Thielemann. 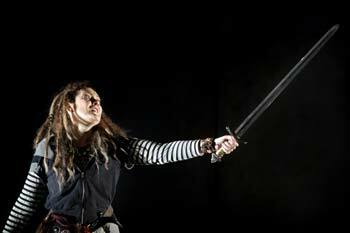 From 2010 to 2012 Martina Dike portrayed FRICKA in “Das Rheingold” and “Die Walküre” at the Frankfurt Opera House. The entire RING was released on CD and DVD at the music label Oehms Classics. In 2011 she enjoyed a huge success at the Malmö Opera with the part of Hervor/Hervardur in Stenhammar’s opera “Tirfing”. Further perfomances in Sweden include the COMPOSER in “Ariadne auf Naxos” at the Malmö Opera but also concerts with the Swedish Radio Symphony Orchestra (Verdi and Mozart Requiem), the Royal Stockholm Philharmonic Orchestra (Beethoven's 9th Symphony and Bernstein's 1st Symphony “Jeremiah”) and the Gothenborg Symphony Orchestra (Oedipus Rex). While still studying in Stockholm Martina Dike had her first guest engagements with Bach’s “Johannes Passion” (Eric Ericson’s Chamber Choir and the Drottningholm Barock Orchestra) in Tallinn and on a subsequent tour. In 15/16 Martina Dike performed a.o. BRANGÄNE in “Tristan und Isolde” at the Opera House Dortmund and debuted as GERTRUD in “Hänsel und Gretel” and MS SEDLEY in ‘Peter Grimes’ . “Martina Dike as Klytemnestra was the star of the evening” the press wrote in May 2016 after the premiere of the concertant performance ‘Elektra’ with the Osnabruck Symphony Orchestra. In 2018 Martina Dike made her debut as ANINA in “Der Rosenkavalier” at the Bogota Opera House and portrayed AMASTRE in Händel’s “Serse” at the Nuremburg Opera House In 2019 she is equally engaged at this very house as ORTUD in “Lohengrin” and EBOLI in “Don Carlo”. Besides, she sings BRANGÄNE in concert with the Riga Philharmonic Orchestra and she sings a gala concert in memoriam of Birgit Nilson with the Helsingborg Symphony Orchestra in Malmö. Tutte le voci erano ben preparate e nei loro ruoli, sottolineo però in ultimo l'espressiva e lirica voce di Martina Dike, che abbiamo apprezzato anche per la difficoltà del suo ruolo. In collaboration with Rene Jacobs, one can hear that Martina Dike has lots of experience in old music. Even when the disdained fiancée Xerxes cries for vengeance, Amastre remains discreetly in the background. A rather tragic character is Amastre, who rejected by Xerxes is still faithful and inwardly desperate. 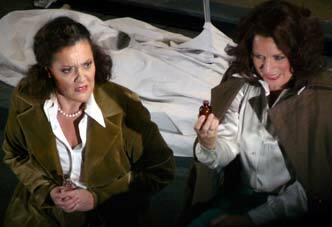 With her dramatically colored soprano voice, Martina Dike gives the role the necessary seriousness. Martina Dike as convincing Amastre was delightfully endearing. In spite of all his escapades, she still loves Xerxes and with dramatic soprano heights she desperately tries everything to keep the emperor’s heart. Among the minor roles one must mention Martina Dike`s very hearable Annina (a rarity in this part). Straight and dominantly and with a powerful mezzo soprano voice Martina Dike as Venus shows her frustration at Tanhäuser’s intention to leave her in spite of her undoubtedly beguiling services. But much more impressive as Elsa both vocally and scenically was Martina Dike's Ortrud, . Her dramatic mezzo soprano voice entirely satisfied all the requirements of the part and convinced by its richness and its secure high notes. Due to Dike the first scene of the second act turns into the dramatical-musical highlight of the evening. The star of the evening was Martina Dike as Klytamnestra. In a virtuoso manner and with her brilliant voice technique she succeeds in depicting the expressive character of the Strauss' Melos.Seamlessly she leads her voice from naked, deep spoken tones to dramatic soprano heights. She is the queen, yet she is captured by restlessness and panic nightmares. She attempts to get some help from her daughter. Tovey and Dike, the most splendid actresses of the evening make the encounter an unforgettable, thrilling experience. And then there is Klytamnestra. It is not yet clear if she dominates Elektra in being the biggest beast of Mykonos. Strauss didn't give her much chance to profile herself like her daughters. Yet Martina Dike, like Rachel Tovey a guest singer of the ensemble, succeeds in doing so. Vocally at any case. Then despite her mezzo, her voice perfectly equals the voice of her stage partner in power. ...Martina Dike... they all sing and act on the highhest level. 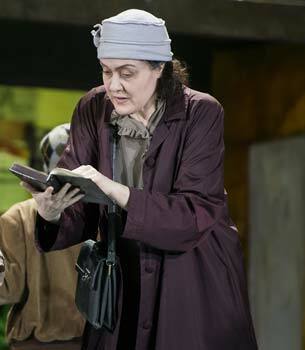 'With Martina Dike, the role of the mother is also perfectly casted. 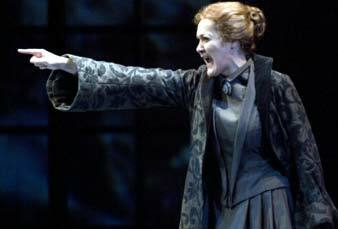 She succeeds in portraying a caring and desperate character, unterlining it with her dramatic soprano. Martina Dike in the role of mother Getrud sometimes is a little bit dramatic in the high registers, which is perfectly in line with the story - at least when the children have dissapeared. The musical level of the evening was excellent. The increased reputation of the house attracts top level singers:... Flawlessly Martina Dike' s clearly timbred Brangäne. 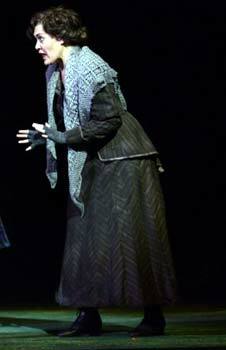 Very convincing Martina Dike as Brangäne, who sang the part with a full but yet slender, not too dark voice. Excellently casted were the roles Bragäne and Kurwenal with Martina Dike and Sagmin Lee, who sometimes made an even bigger impression as the title couple. Dike shines with a voluminous voice and a perfect diction. With enormous dramatic energy, Martina Dike impresses as Brangäne (she has already Bayreuth experience as Fricka in 'Die Walküre')... her vocal presence in the high registers and her enthralling presentation give the character impact. Martina Dike is a very souvereign Brangäne, whose mezzo voice effortlessly fills the opera house - and she sings just as cold and calculeted, as demanded by the production. ...and the brilliant part of the equally Bayreuth-experienced mezzosoprano Martina Dike raised this evening to a high musical level. Martina Dike as dramatically gripping Brangäne with beautifully soft Beware calls. Martina Dike's Brangäne is at the same time noble, severe and sensual. Martina Dike sings a Brangäne of compelling beauty and creative power. Whereas the 3 singers, mentioned above, already sing since the premiere in 2006, the role of Brangäne was portrayed by Martina Dike, who accurately performed her part in the high peaks, well foccussed in the middle registers Wonderfully sustained, she sang the 'Hab Acht' cries.